Lawyer Jennifer Walters’ entire life changed when she received an emergency blood transfusion from her cousin Bruce Banner. With gamma-irradiated blood coursing through her veins, Jen became the powerhouse She-Hulk – sharp, beautiful, and sensational beyond compare! 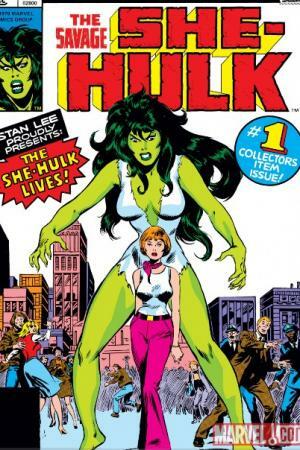 After being caught in the line of fire, the otherwise meek and mousy Jennifer Walters is transformed into the savage SHE-HULK! 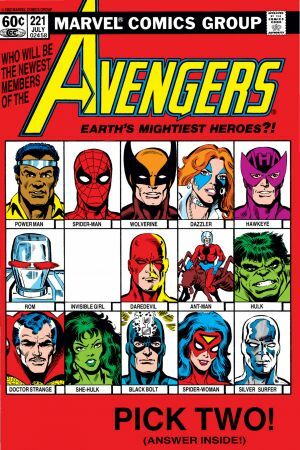 Looking for new members to join their ranks, the Avengers extend invites to various heroes. 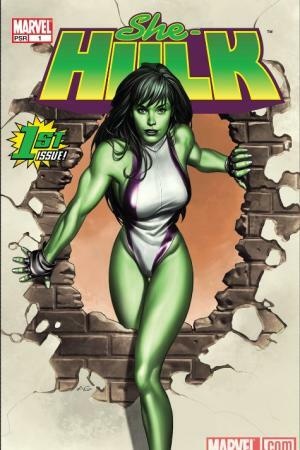 Proving to be the most ferocious female of all, She-Hulk becomes an Avenger alongside Hawkeye! 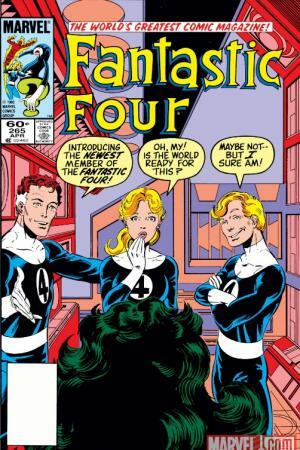 Much to the surprise of Sue Storm, She-Hulk joins the FF while filling in for the Thing. And Jennifer proves her worth when she takes on a radioactive attack by the Trapster! Dan Slott pens this romp of a series! Jen’s ready to put old issues to rest and make a fresh start. But that doesn’t mean a stacked dating life and legal career are off the table! 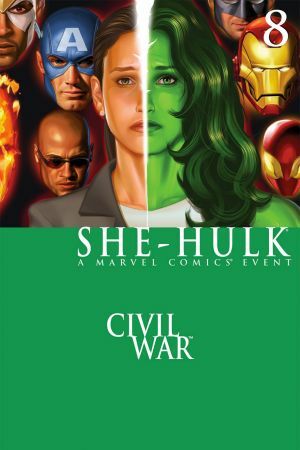 She-Hulk’s personas and political opinions are split right down the middle – She-Hulk is pro-registration, but Jennifer Walters takes the opposing stance! Enter Battleworld! 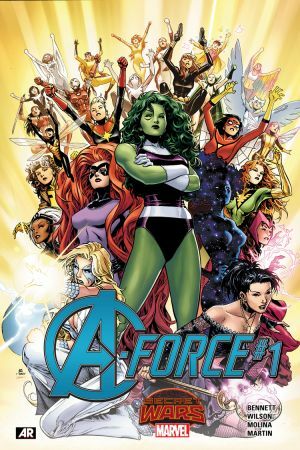 As the Baroness of the island Arcadia, She-Hulk assembles an A-Force team of Marvel’s mightiest women to quell a barrage of assaults! 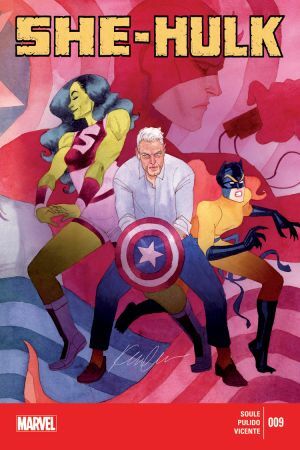 Jen takes it to court with fellow attorney Matt Murdock for the trial of the century – to defend Captain America’s honor! Only a true best friend would leave a legal meeting to save you from an Asgardian goddess-wannabe! 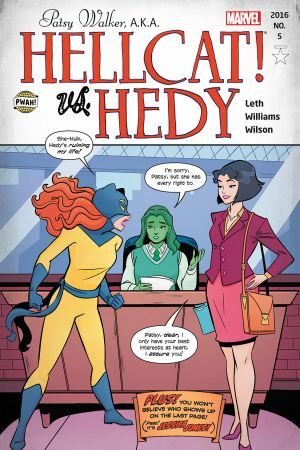 And that’s exactly what She-Hulk does for Hellcat in this astonishingly adorable issue!